The government has sought the additional time on the ground that large financial implications were involved in payment of amounts to the tune of Rs 6 billion, which required consultation with several ministries. A bench of Justice Hima Kohli and Justice Sunil Gaur have now relaxed the deadline for compliance on the Jan 29 judgement by another four months, starting Jun 2, the report said. The SFF, a top-secret regiment, was created in the wake of the Chinese aggression in 1962 and initially was comprised of only Tibetan recruits. Later, Nepali Gurkhas too were recruited from 1965. They were included in the fighting force to guard the nation’s territories given their physical attributes and their ability to survive in very high altitude and extreme climate, the report said. 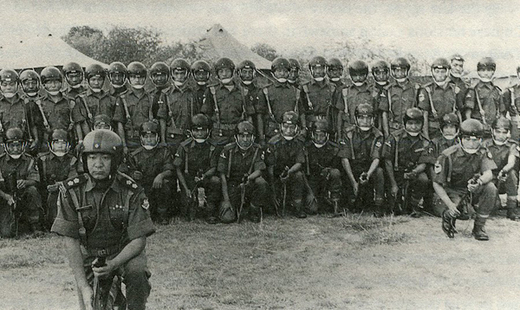 It said that in 1985, the SFF soldiers were given rank parity with the regular army personnel. Subsequently, in Jan 2009, they were brought at par in pay, allowances, and pension with the personnel of the Indian Army, but only prospectively. As a result, those who had retired before Jan 2009, numbering a total of 5,727, moved a public interest litigation in the high court under the aegis of an ex-servicemen welfare union, questioning the imposition of the cut-off date for the reimbursement of pensionary and other retirement benefits. Noting that the SFF veterans had made “outstanding contributions” to the nation’s defence and security, the high court had ruled that there was no justification for differentiating between those who had retired before 2009 and the others who retired after it for the purposes of pension and other retirement benefits. “They were not army regulars, nor are they Indian nationals. Yet, they stood at the border, shoulder to shoulder with Indian Army personnel, to patrol and defend our borders,” the judges were quoted as saying.